Left to right: Insouciant, Decorous, Recherché, and Iconoclast. 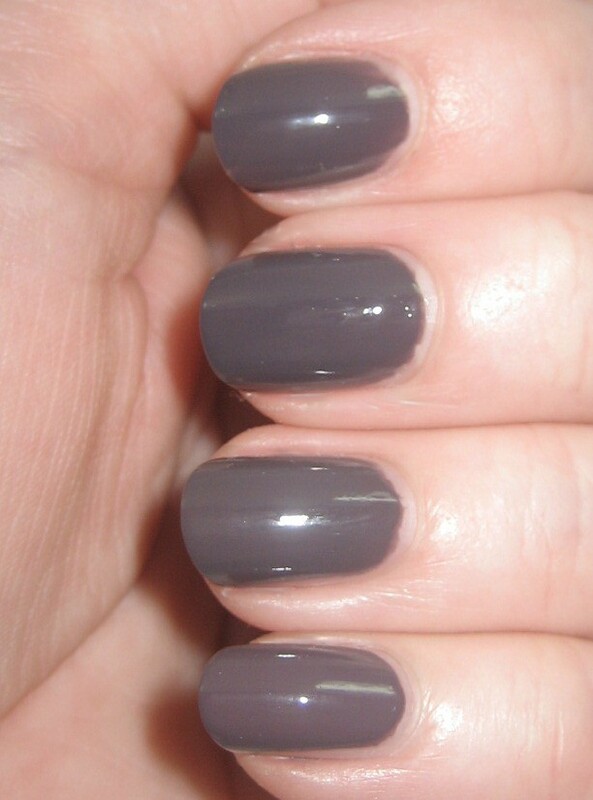 Insouciant is a greyed lilac shimmer. In normal room light, the shimmer is rather subtle; in direct light, it flashes blue. 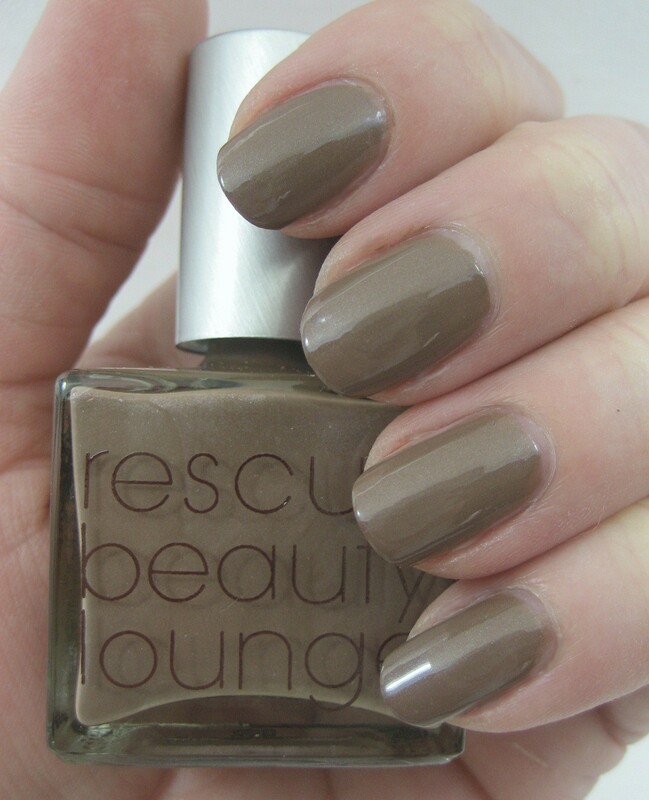 Decorous is a medium milk chocolate brown shimmer. Like Insouciant, its shimmer is on the shy side in indirect light but pops in stronger illumination. Recherché is a creme, a deep dusty plummy creme. 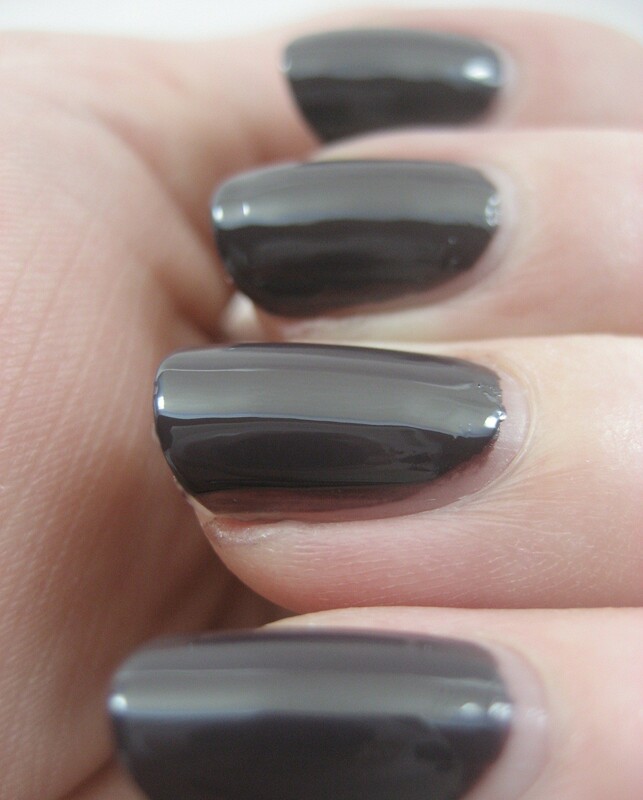 Iconoclast is a black shimmer. This one was hard to capture on camera; in real life the shimmer flashes with a bit more color than the silvery blue that my lens chose to pick up on. Insouciant is my favorite of these four; that soft purple shade looks like stepping out into one of the first welcoming warm days of spring feels. 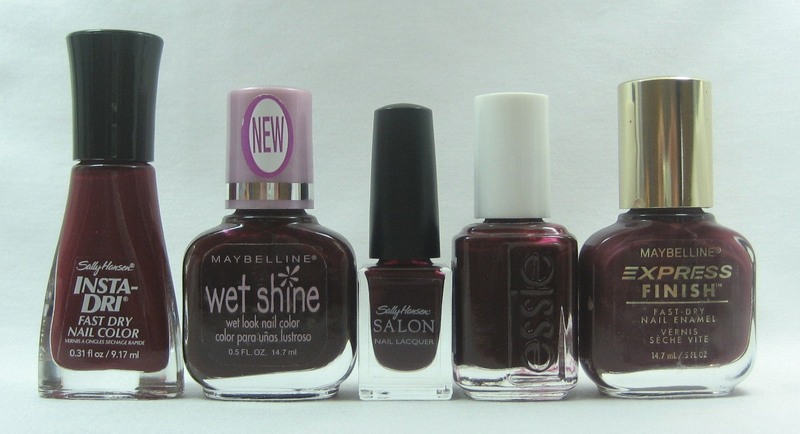 That said, I do see myself wearing the other three shades, too, so these are all winners for me. 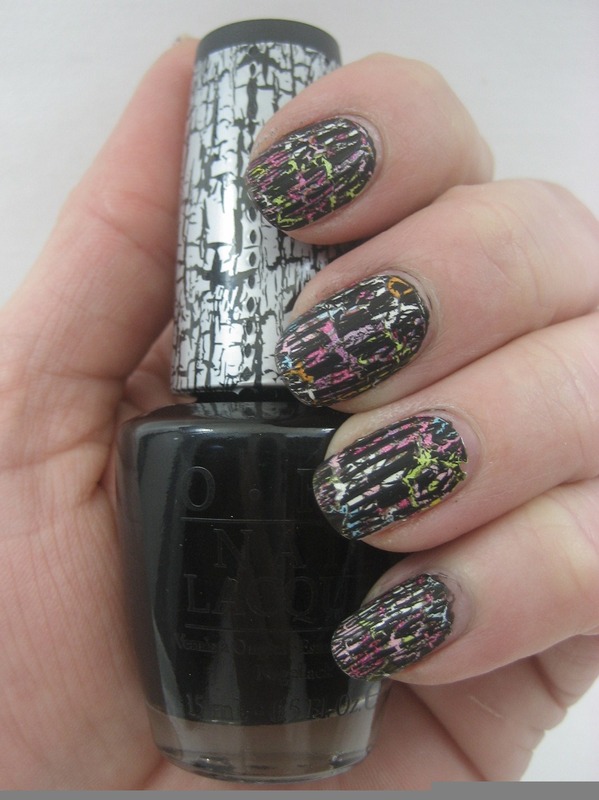 I used two coats of all but Iconoclast, which was one coat. Yep, I said one. Recherché was really close to being a one-coater as well. 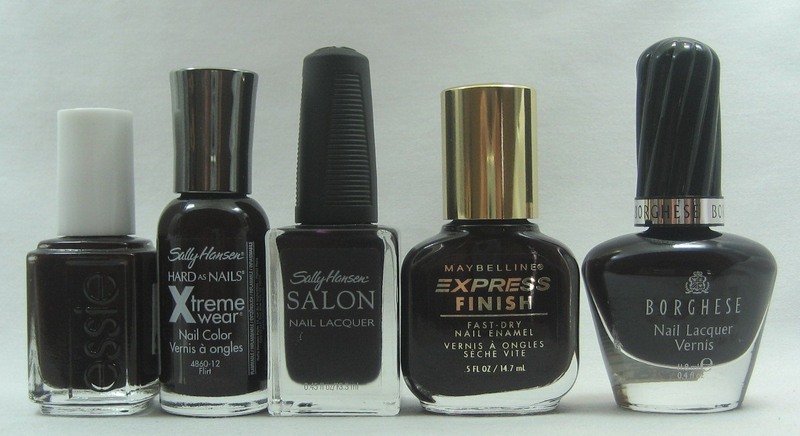 If you'd like to see any of these compared to specific polishes, please leave a comment. 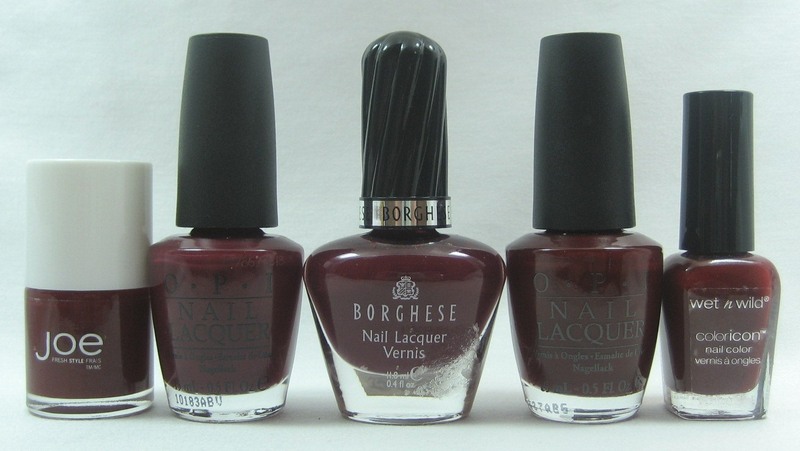 If I've got the other polishes, I'll gladly do the comparisons. Of course I had more dark reds than would fit on one wheel, so here's the continuation from last week's Nail Wheel Wednesday. So now I've got all of my pink and red cremes swatched (except for any that might have gotten in the wrong Helmer drawer, which I'll just have to deal with those when I come aross them). I could start pulling out dupes for sale or swap; I'm just not sure how I'll make those decisions. Should I have a brand hierarchy of some sort? Or should number of coats required be the deciding factor? How would you (or do you) do it? 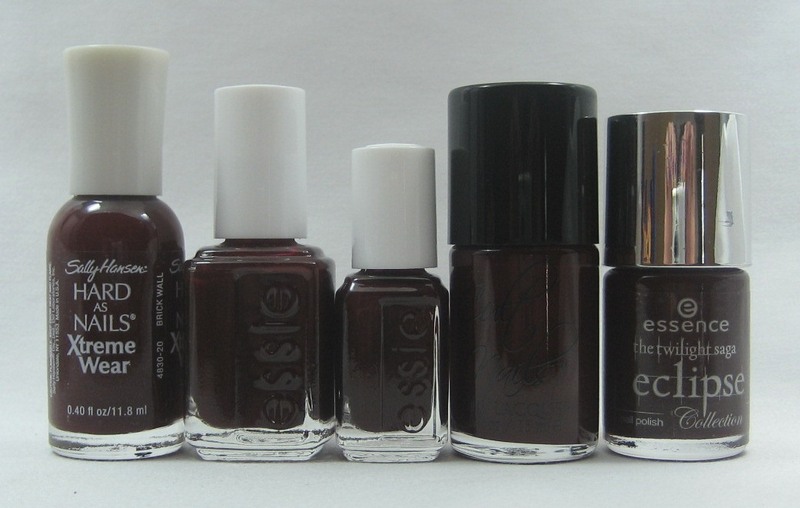 The other day I came across an Amazon seller who had Essie Smokin' Hot from this past winter's collection listed for $49.99, which I thought was insane. I'm hoping it was a data entry error, but the same seller has Merino Cool listed for $39.80 so maybe not. I took that as a sign that I needed to get my much procrastinated about Smokin' Hot comparison done. First, Smokin' Hot on its own. 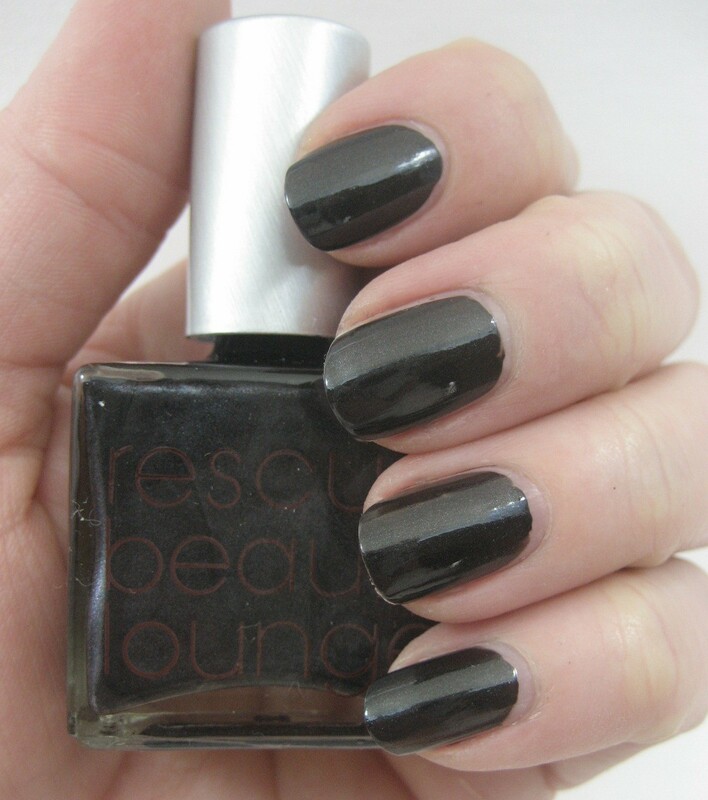 Smokin' Hot is a nice polish, no doubt about that. 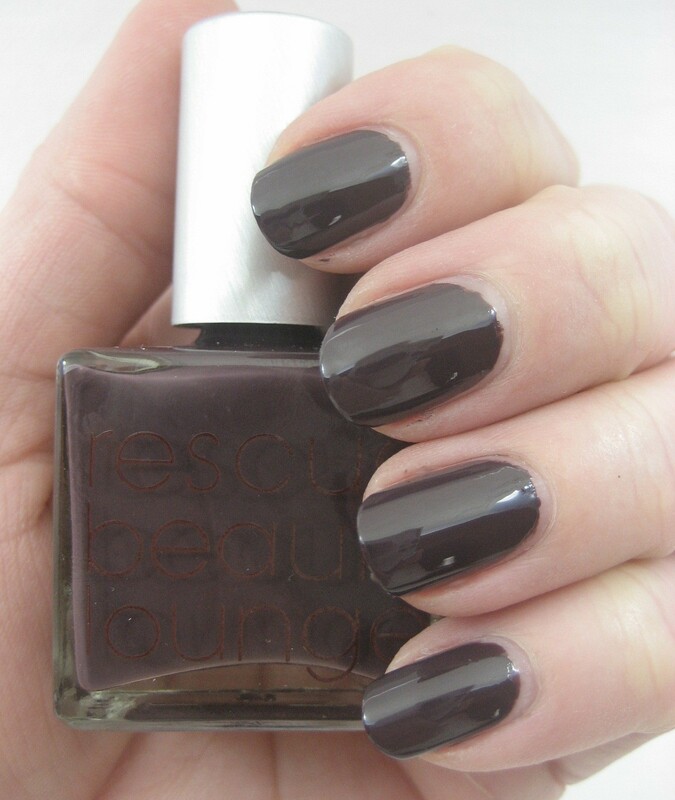 It's deep grey creme with hints of purple and brown in it, covers in two coats, and is shiny even without top coat. Is it "I must have this or I will die" unique? No, most certainly not. 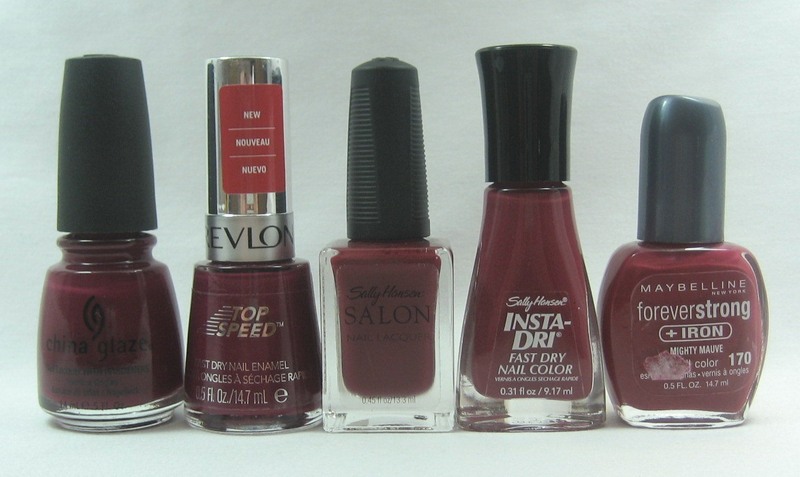 I found three candidates for substitution in my stash: Sally Hansen Grey Area, Nina Ultra Pro Never Glum Plum, and Models Own Purple Grey. 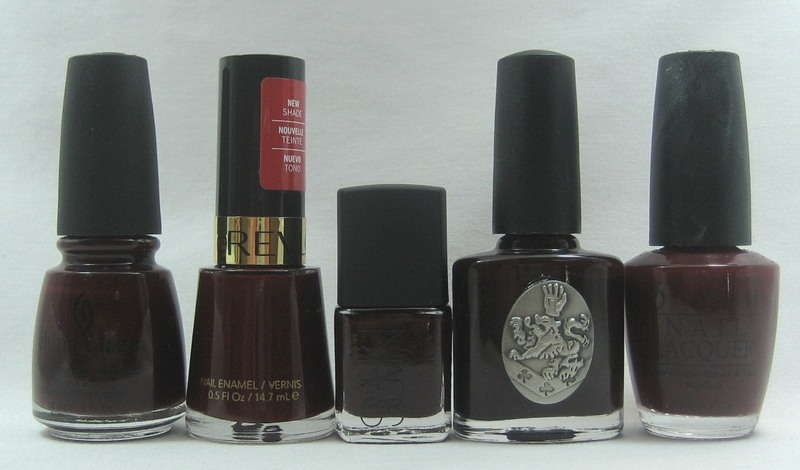 All of these other polishes also covered in two coats. 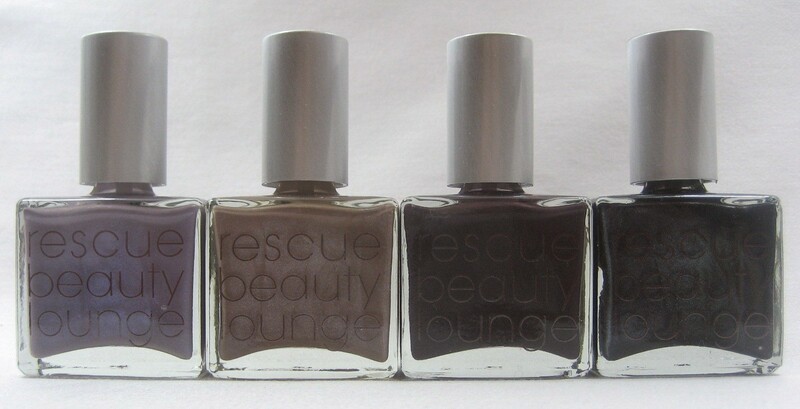 Top to bottom: Smokin' Hot, Grey Area, Never Glum Plum, Purple Grey. 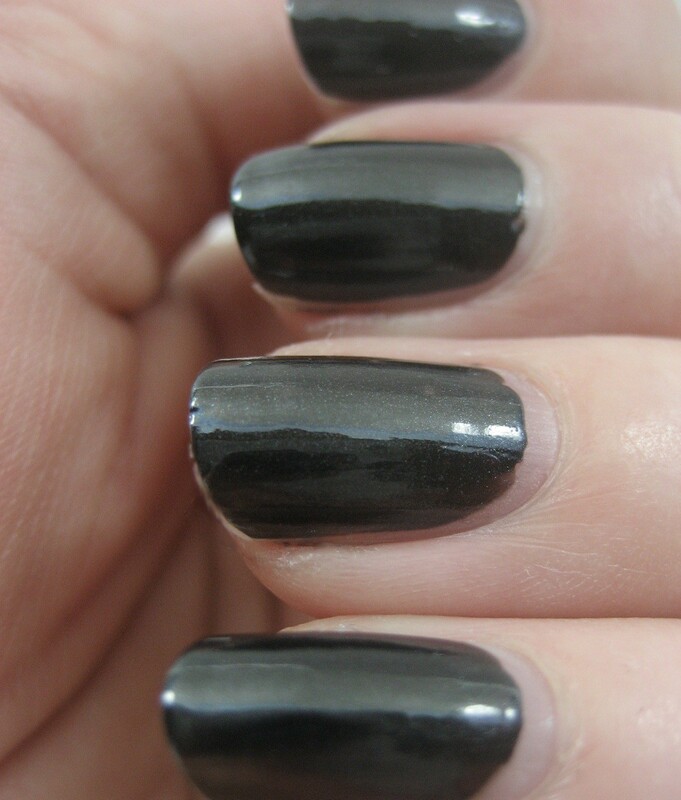 Grey Area is the closest to a dupe of Smokin' Hot in this group. It, like the Essie, is a limited edition that first appeared near the end of last year, but I have seem it in some stores recently, ones that maybe didn't put out a bunch of new displays during the Christmas season thanks to the glut of fragrance sets they seem to think people need for gifts. I also spotted it on eBay for a buy it now price of $4.99, still over retail but not what I'd consider a ridiculous markup if you really like the color. 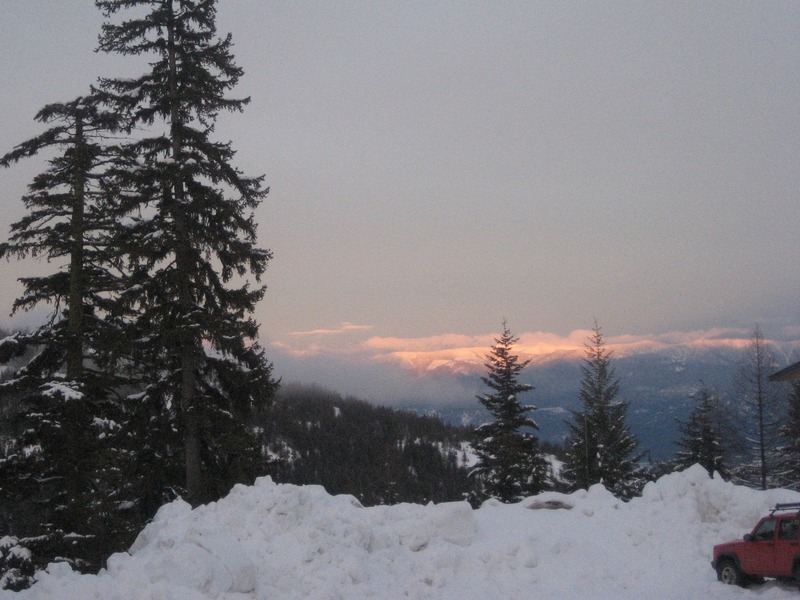 Never Glum Plum is close, too, just a touch lighter than Grey Area. That's core at Sally Beauty as far as I know. Purple Grey is a hint lighter and more purple, but still a fine stand in if you missed Smokin' Hot and wanted it. This overexposed flash picture shows the differences better, but you need to ask yourself how often you are subject to flash photography. I know I'm rarely in the glare of cameras like that. I can't stop people from paying super inflated prices for Essie if they choose to, but it makes me happy to be able to share alternatives. 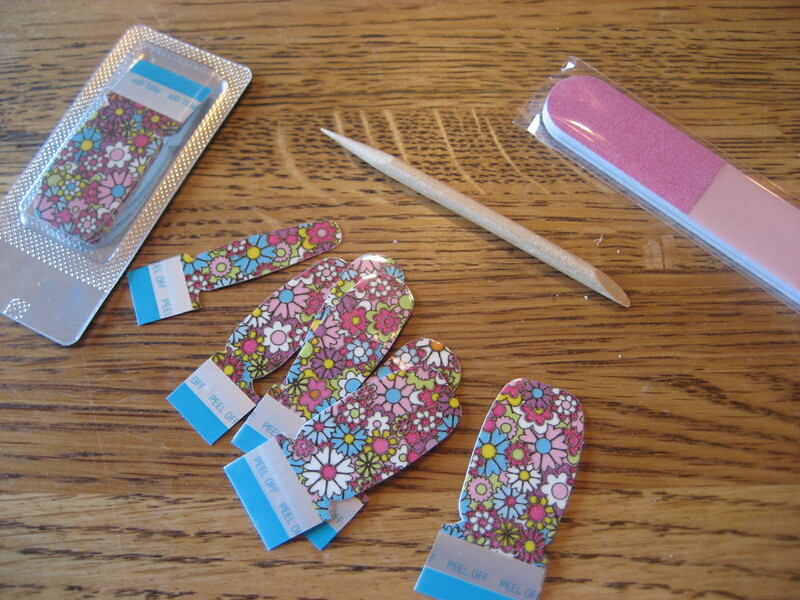 Yesterday, I finally removed the Sally Hansen strips I've been wear testing, so today I have my review of them. 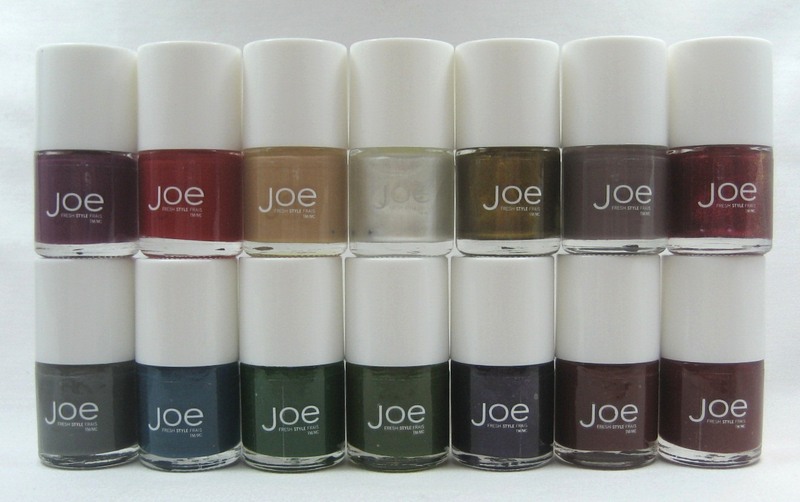 As I mentioned when I posted a picture of the display, I was intrigued by the idea but resistant to spending nearly $10 on color for one manicure, so I didn't immediately grab any of these. They did go on sale at CVS just before I left on vacation, and I decided to satisfy my curiousity. 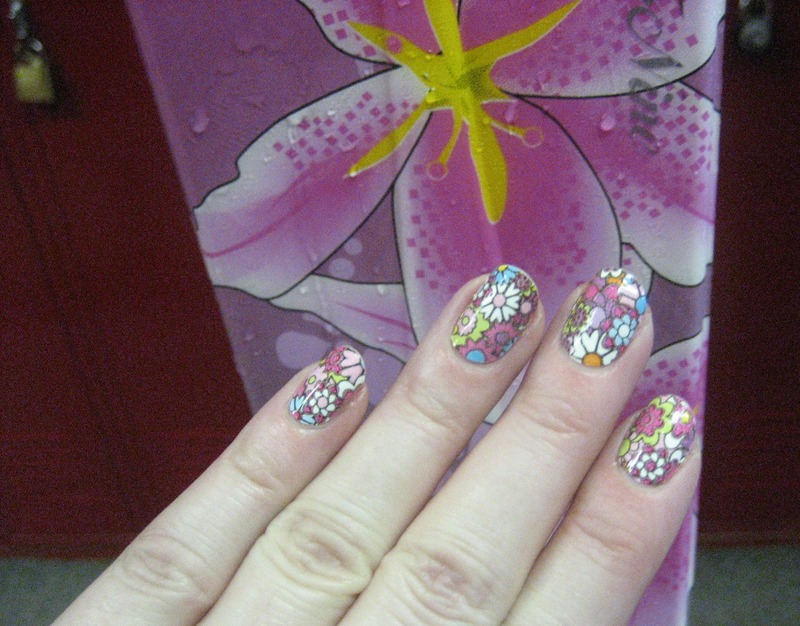 I got several of the more elaborate designs—ones I couldn't see recreating myself with liquid polish. 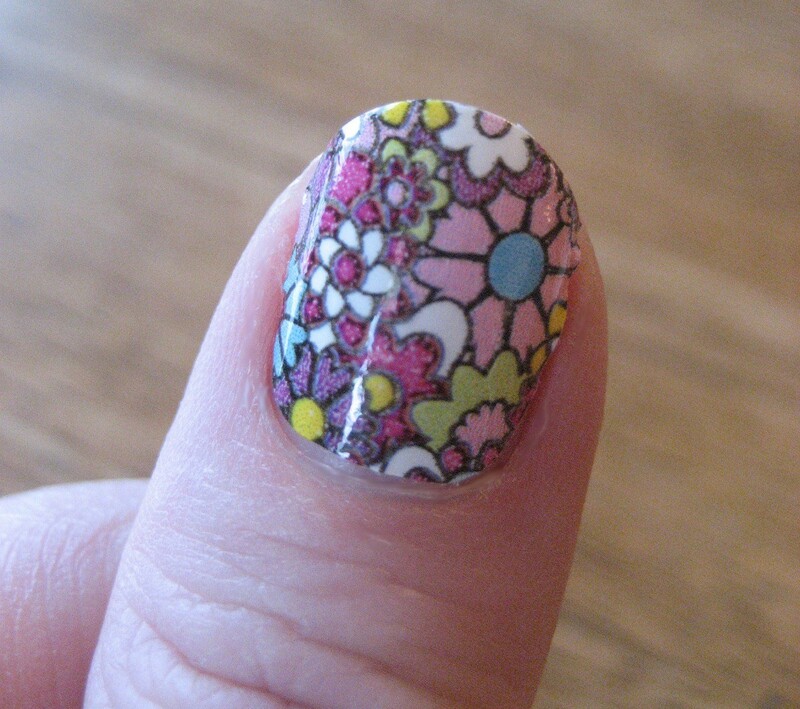 Because my trip overlapped with the first day of spring, I packed the very spring-like Girl Flower design with me to try when I got some downtime (the ski slopes are only open so many hours a day, after all). These are packaged in a small box which contains the strips (16 of them in various sizes in a blister pack), a mini orange stick, a mini file/buffer, and instructions. The instructions were good, and definitely necessary as without them I'm not sure I would have realized that there's a clear protective top sheet that needs to be peeled off in addition to the backing on the strips. 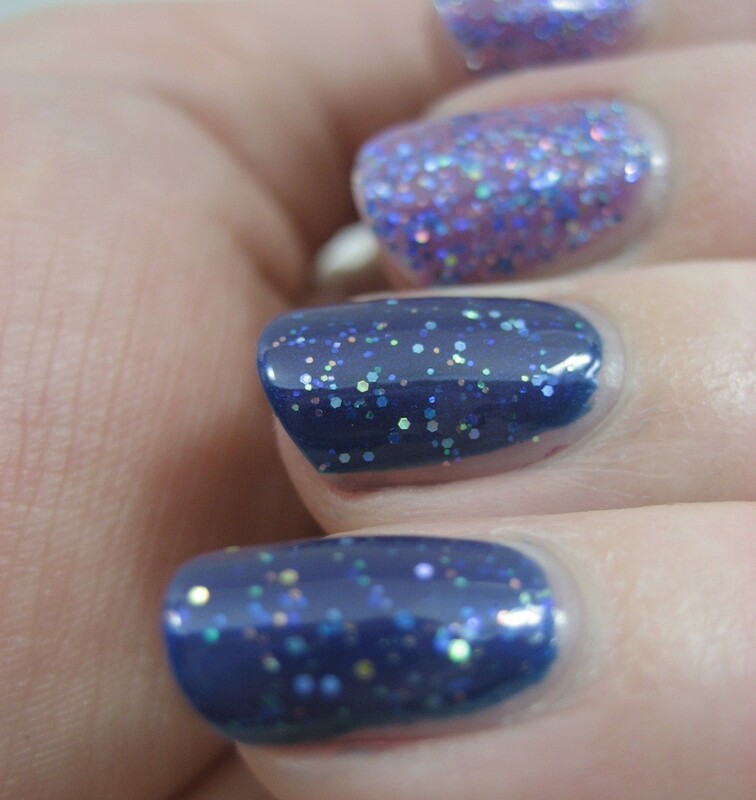 I was able to find pretty close fits for most of my nails; not all were a perfect match for the curve and width but neither is my application of liquid polish a lot of the time. I got a few wrinkles in the tips of some of the nails, got a couple strips on crooked, and in one case pressed too hard with the orange stick when smoothing around the edges and gouged some of the strip off, but all in all it was pretty easy to do and didn't take very long, especially since this was the first time I'd used them. 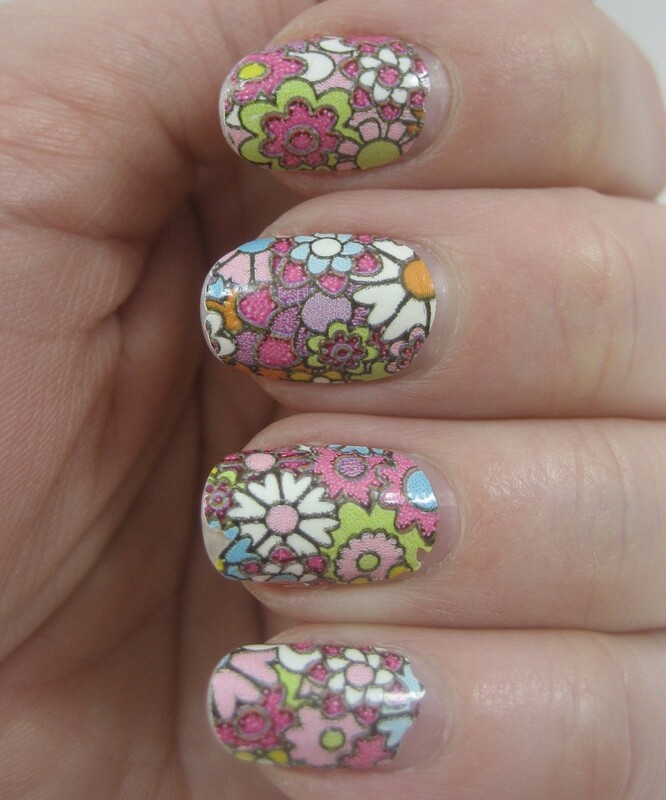 One of the best parts was I was able to apply them in the same room as Mr. Karen; he hates the smell of polish, so I never get to hang out with him when I'm doing my nails, but these didn't bother him. They do have a very slight odor, probably nothing I would have noticed if I hadn't been hyper sensitive about the issue. The strips are plenty long. 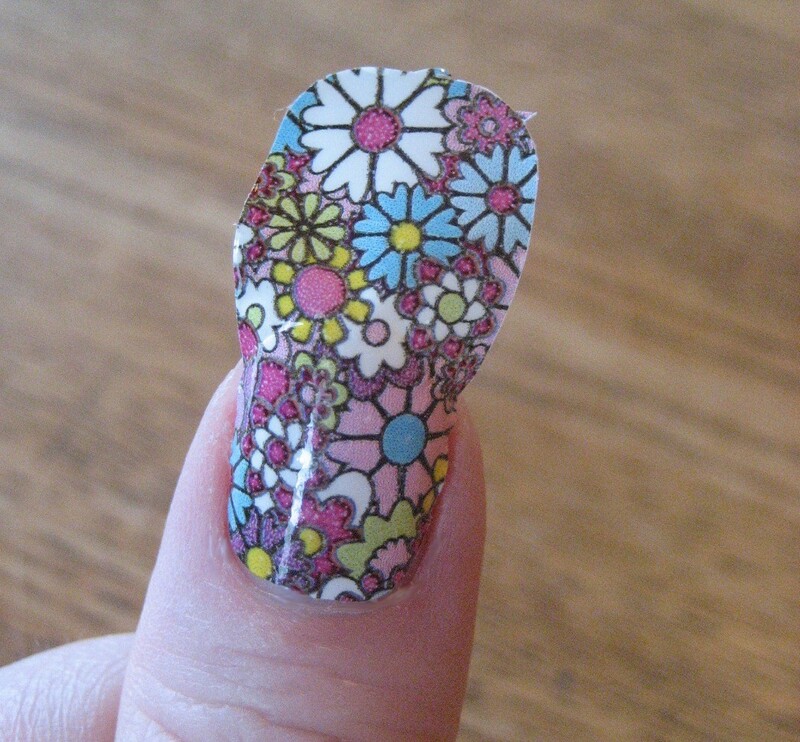 With my fairly short nails, I felt like I was wasting a lot of product, filing almost half of the strip off the end. I'm tempted to try cutting them closer to size the next time and seeing if I can get more than one mani out of a box (or maybe a mani and matching pedi—can't remember the last time I sported that look). I'm not sure how I'd seal them back up to keep air off the strips for later use, though; I'll have to ponder that. I definitely felt fancy by the time I was done with all ten nails, and I wasn't the only one who found the design eye catching—I got more comments and compliments on this mani than anything I've worn recently, including ones from the kind of people that don't generally say anything about my nails, like food service cashiers, flight attendants, and even a guy at work. 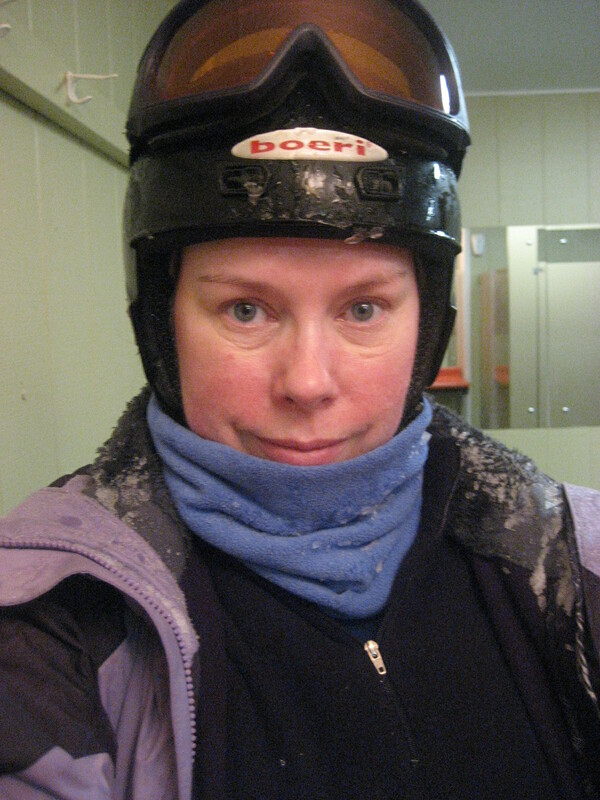 One thing I hadn't planned but which delighted me was how well the flowers coordinated with my very girly powder skis—sure I was wearing gloves most of the time when I had the skis on but I still knew. 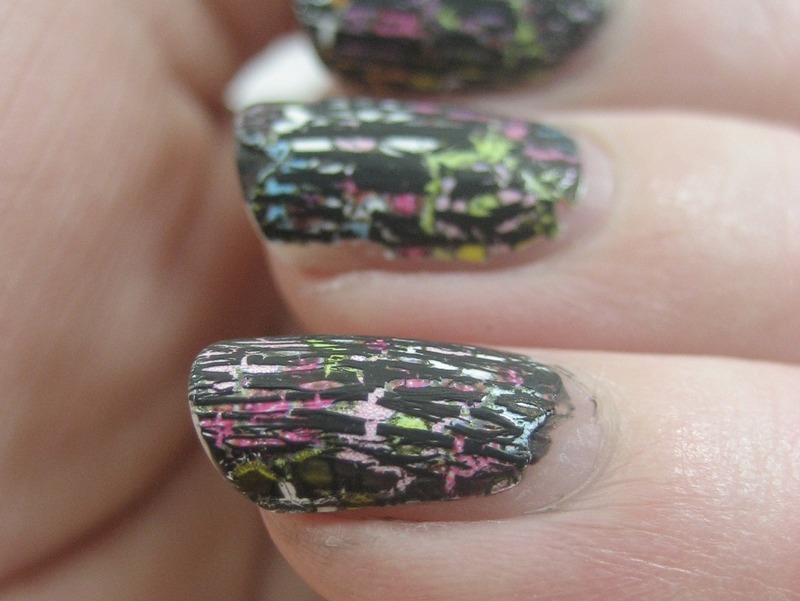 OPI Black Shatter worked just fine on top of the strips and camouflaged the imperfections that had shown up with wear. I'd been a tiny bit worried that the adhesive in the strips would damage my nails, especially since I didn't use my normal treatment and protective basecoats, but when I removed them (they came off with regular remover same as conventional polish) if anything my nails looked better than they have been lately, probably because they'd gotten a ten-day vacation from acetone. I have to say I'm sold on these strips. I still think they're expensive, but they do last a long time. 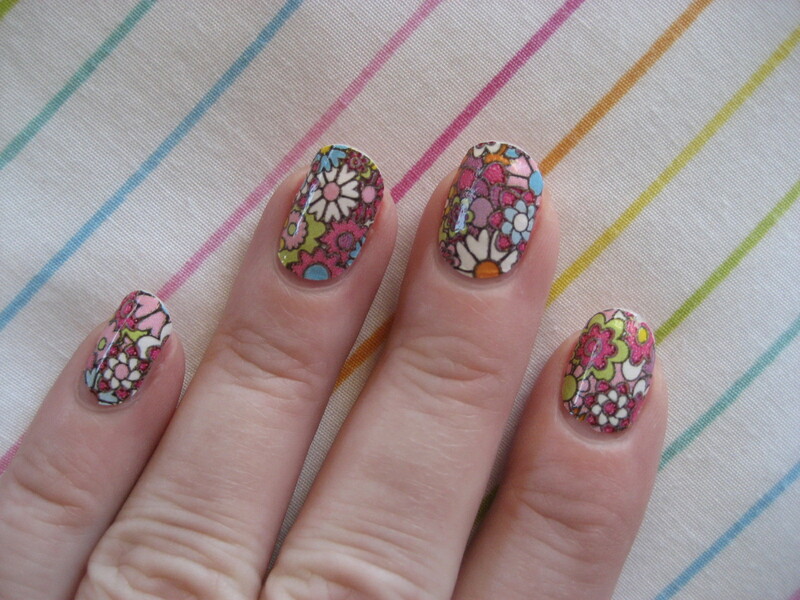 I liked seeing them on my tips and so did other people. I'll definitely use them again for special occasions or when I have a long stretch when I can see I won't have time to change polish. Good job, Sally; could you not discontinue these for a while, please? Wow, wow, wow! In the top row, left to right: Orchid, Cherry, Caramel, Dupioni, Midas, Storm, and Sweet Tart. Bottom row: Fog, Persian Blue, Jade, Moss, Imperial, Brick, and Wine. Faced with all that goodness, I couldn't decide which one to try first, so I set them aside for a bit. When I came across them again, Moss leapt out at me. 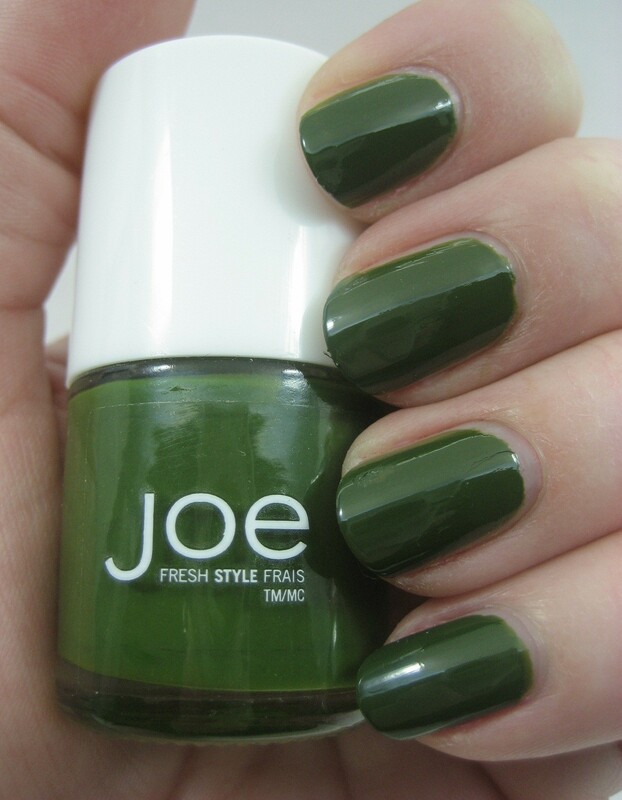 It's an olive green creme, just the kind of color I used to look at and say "yuck" but now can't get enough of. 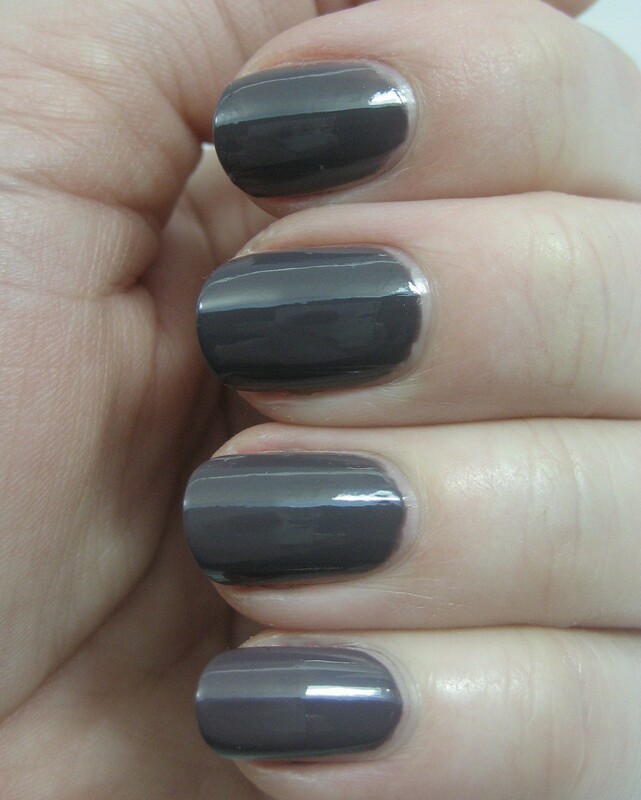 Two coats of this one was plenty for full coverage; these swatches are as usual without topcoat. Do I hear some of you out there bemoaning the fact that you don't live in Canada and can't buy this one (or do live in Canada but missed this one)? 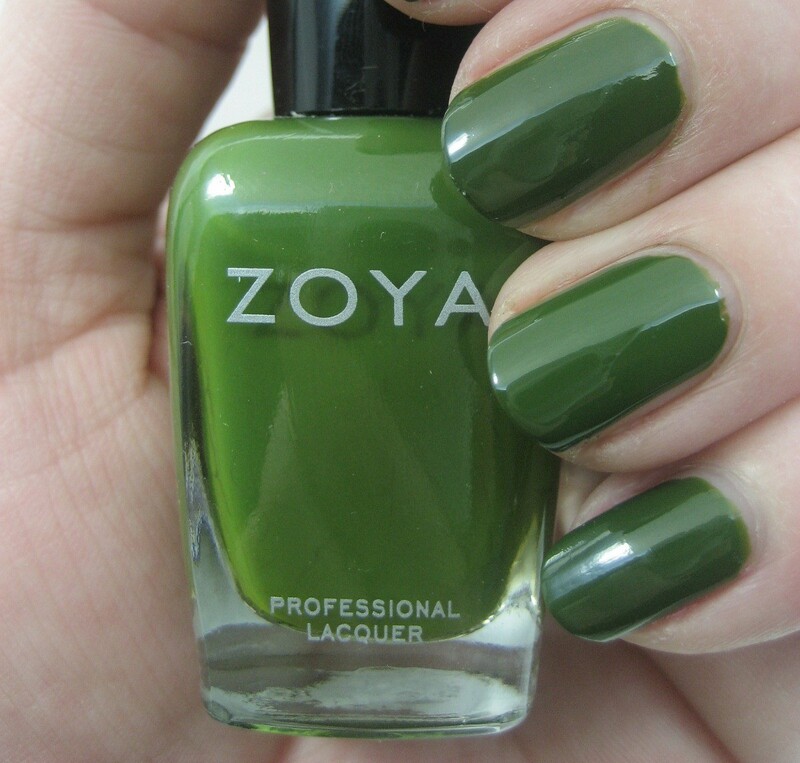 If so, you're in luck if you can get Zoya, because Shawn is a very good substitute. Top to bottom: Moss, Shawn, Moss. 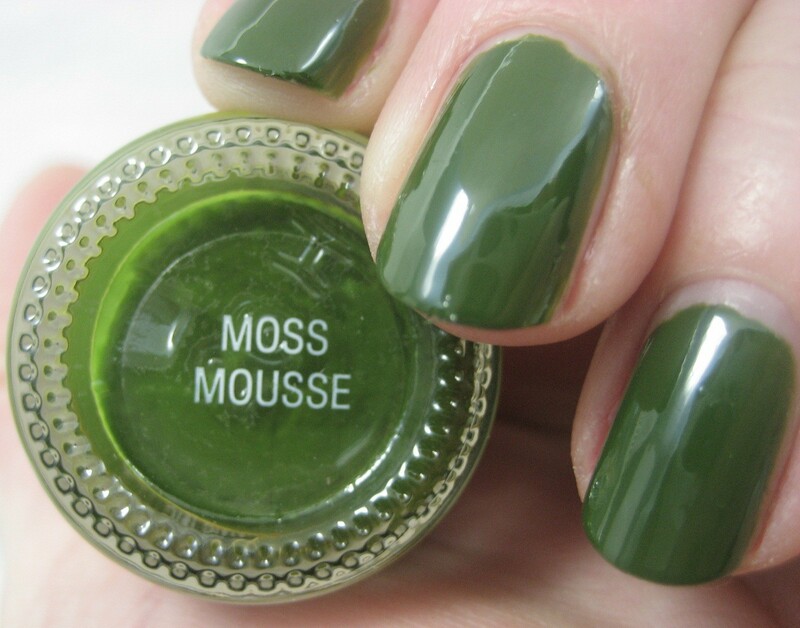 Shawn, like Moss, was two coats. It's a touch brighter in hue than Moss, though the difference is very slight. Last Nail Wheel Wednesday we had red cremes; this week it's dark red cremes. Why do I have so many reds? There's my innate love for excess, of course, but there's also the idea that reds are classic, and therefore worth investing in. That logic rather falls apart after a certain point, and I passed that point sometime back. You can see how much snow there's been there in northern Idaho this season; that's a full-sized SUV in the lower right, with the pile of snow plowed off the street well above its roofline. 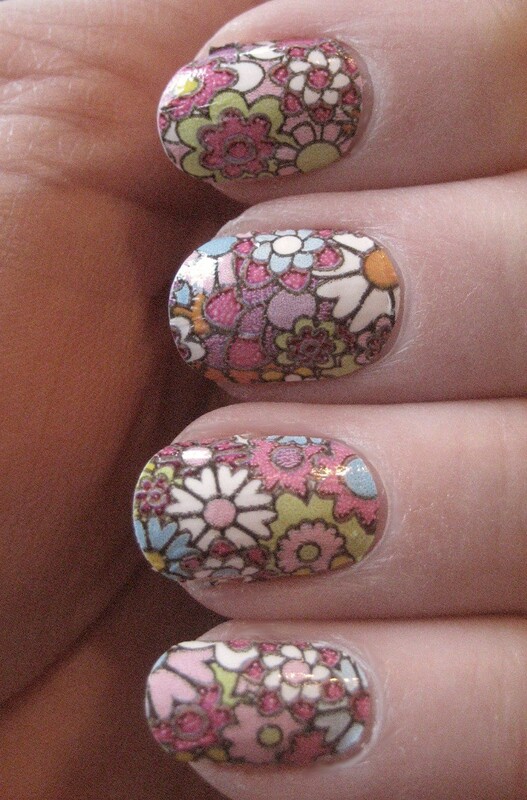 The Sally Hansen nail polish strips I put on last week are still on, so I'm not ready to do a full report on them yet. Instead, today I have something swatched before I left. 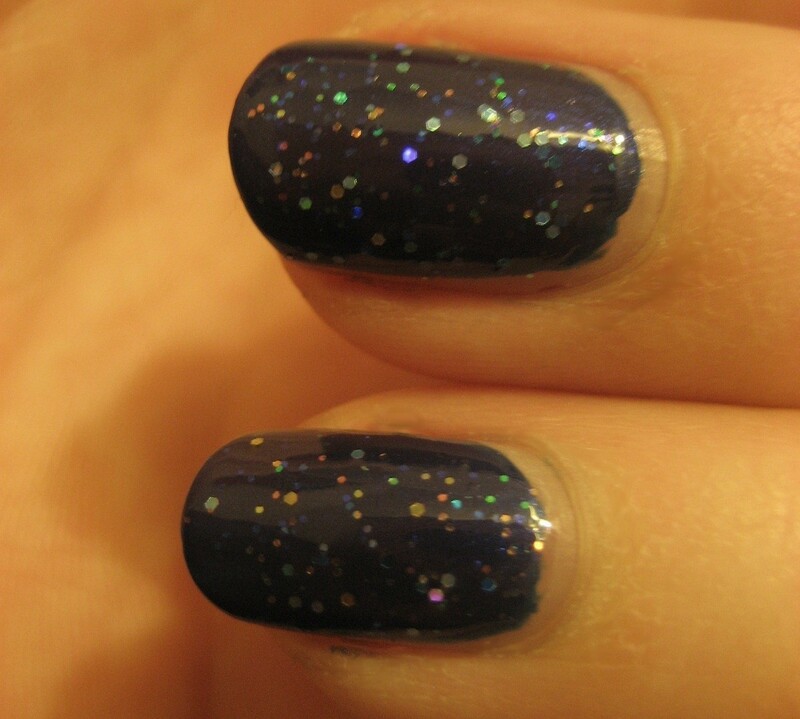 It's my latest franken, which I called Carnival Blue because it's a sibling to Carnival Red. This one also has Wet 'n' Wild Hallucinate as a base with some of the holographic glitters I bought at JoAnn Fabrics added to it plus some Revlon clear; in this case I used two shades of blue plus the lime green (which almost looks gold in some lights). I used about equal amounts of the two blues with the lime as an accent. 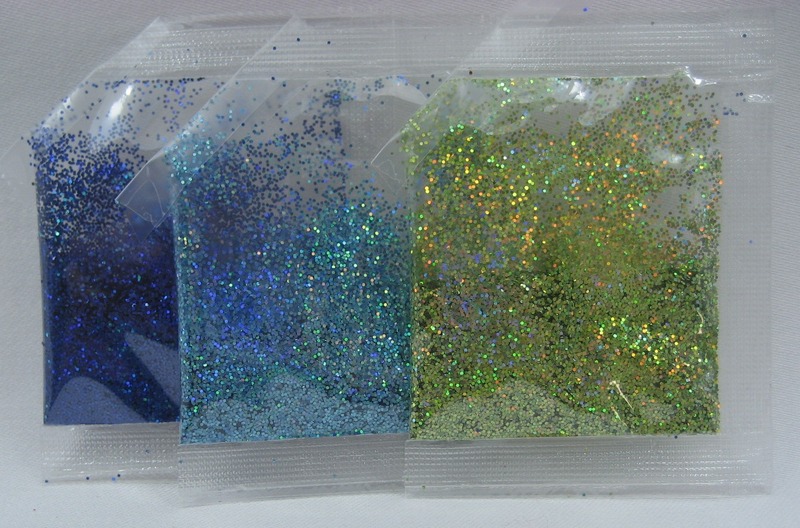 There was some bleeding of blue into the base though the glitter did keep most of its color. 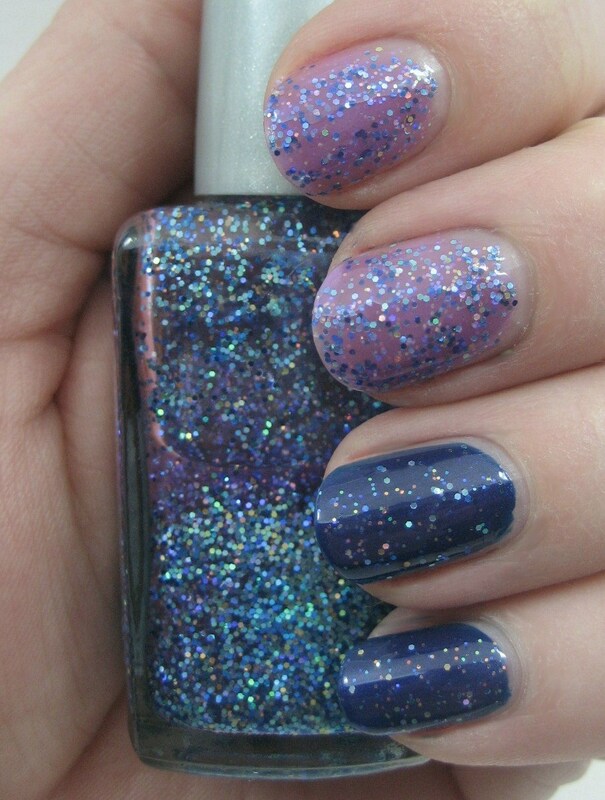 The glitter in this one isn't as dense as in the red version, so I swatched this both on its own and over my blue shimmer franken. I like it much better layered. I like it layered in low light, too. I'm not sure when I'm going to be able to make more frankens; I hope soon since I'm finding it great fun to experiment and see how they turn out.